Camellia tea is well known for its health benefits is produced from the Camellia plant….The thing is that it comes from the C. Sinensis species not the C. Japonica or the C. Sasanqua usually planted in home gardens and landscape. Although a seed oil used for cooking and hair treatments by hundreds of millions of people in Asia is derived from your commonly used Camellia plants! Camellia is a flowering evergreen shrub native to South Asia and Japan that has around 300 species. 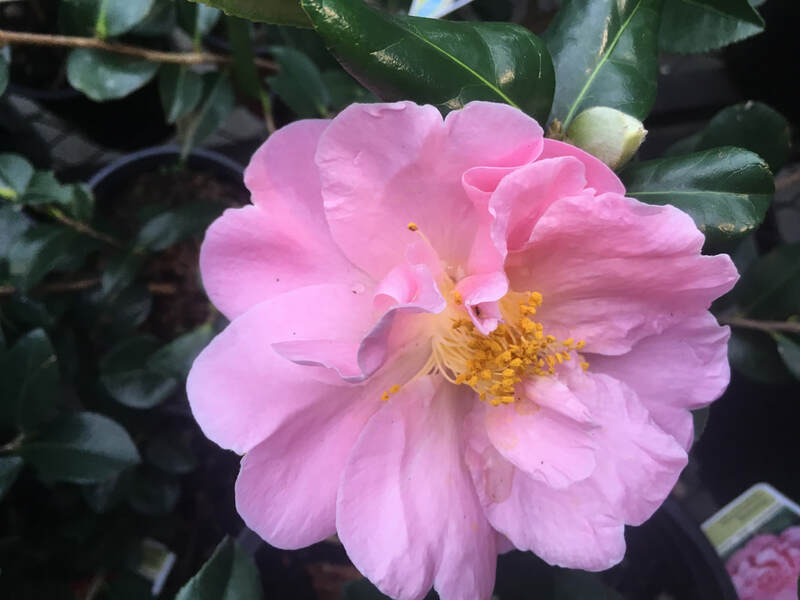 The Camellia is a dense shrub that grows 6 to 15 feet tall and 5-7 feet wide. The leaves are alternately arranged down the stems, thick, glossy, and have serrated edges. There flowers are large usually with 5-9 petals with colors ranging from white to pink/red. The flowers have yellow stamens which offer sharp contrast with the petal color. The camellia does produce a fruit which is a dry capsule containing up to eight seeds. 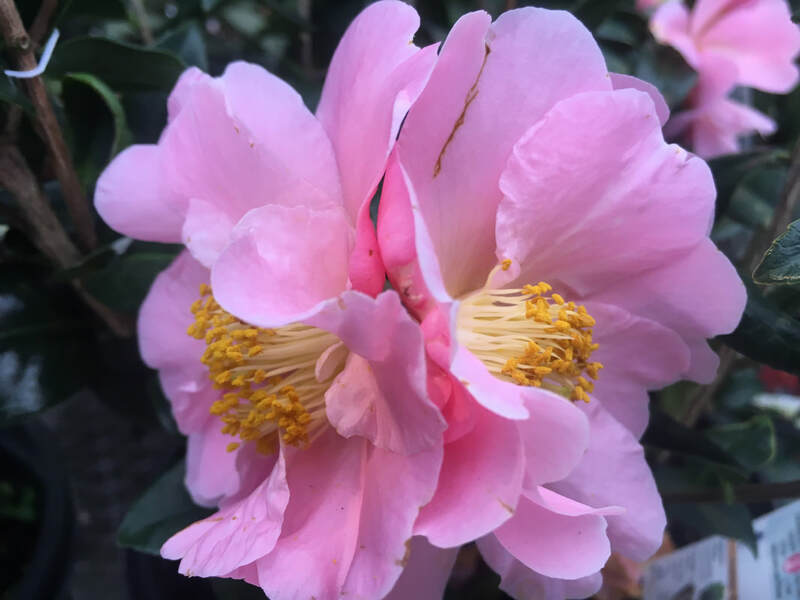 The camellia plant flourishes in well drained acidic soils rich in humus (organic matter), most do not grow well in chalky soil (calcium rich/ sedimentary rock). The Camellia has a fast growth rate usually 1 foot per year. This fast growth rate requires the plant to intake large amounts of water. An irrigation system would be necessary as the camellia is not vary drought tolerant. During the blooming season it is suggested to increase the amount of water to encourage full blossoms and de-bud which is removing touching buds and inner buds leaving the buds at the tips of branches with no competition for nutrients. Unfortunately the common garden variety plant does not naturally shed its blooms and they remain on the shrub which some have described as appearing like used tissues. I heard the analogy of after someone throw a great party (blooming season) but afterwards did not clean up the mess. Deadheading is used to eliminate the spent blooms which is simply removing the wilting flowers.